Ole Gunnar Solskjaer revealed he always wanted to be Manchester United boss, saying he believed he could be a better manager than player. 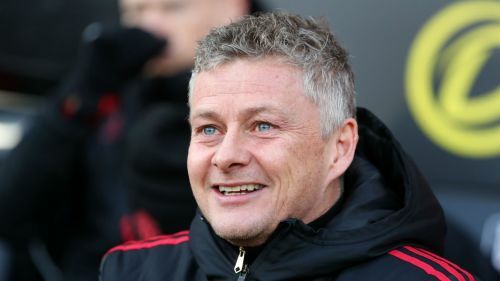 Solskjaer has impressively helped turn United's season around, guiding the club to 14 wins from 17 matches since replacing Jose Mourinho on an interim basis in December. The Norwegian is tipped to become United's full-time manager, particularly after seeing them past Paris Saint-Germain in a stunning Champions League last-16 tie. Solskjaer, whose side visit Arsenal on Sunday, said he was now in a position he always dreamt of. "I think I've been secretly always wanting to do the job I'm doing now," he said. "And I probably believed more that I could be a football coach and a manager than a player, because it took me a few years to get to the level I wanted to be as a player." Solskjaer enjoyed a fine playing career, claiming six Premier League titles and scoring the winner for United to secure the Champions League in 1999. Asked if managing was more satisfying, the 46-year-old said there were upsides to both. "Both yes and no really, because the best thing in the world is to play football. That was the best job ever," he said. "You just concentrated on yourself, your own lifestyle, do the X amount of minutes that the gaffer asked you to, come into training, rest, recover, do everything that you can to do the job that he wants you to do and just enjoy it. "Of course, I feel honoured and privileged to be the one who makes the decisions, and I think I prepared all my life to make decisions like this, because ever since I was a kid I played all these computer games and [had] written all the teams, selected teams with my mates, in the good old teams with Zico and [Diego] Maradona and [Marco] van Basten, all them teams that I used to pick."